This morning I got an email from Zazzle saying that they were having a 40% off sale on "spring break" items. This includes tanks and tees, flip flops, water bottles, and sundry other items. I hadn't realized they had allover print tanks, so I decided I needed to make one. Behold! 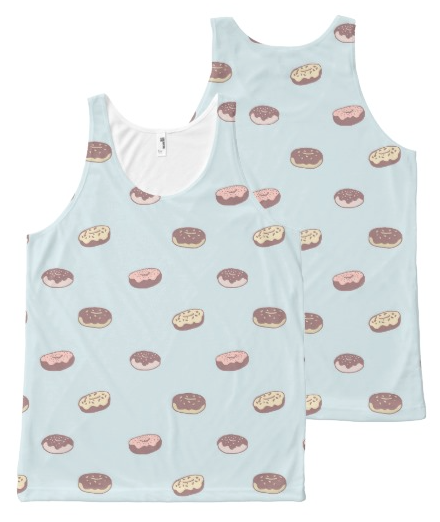 My donut tank! If you want to make your own tee or tank or other spring break item (or purchase this one) you can go to Zazzle and use the code "UREADY2CHILL." For now, I'll embed the l ink to this glorious tank. I may need to order one.